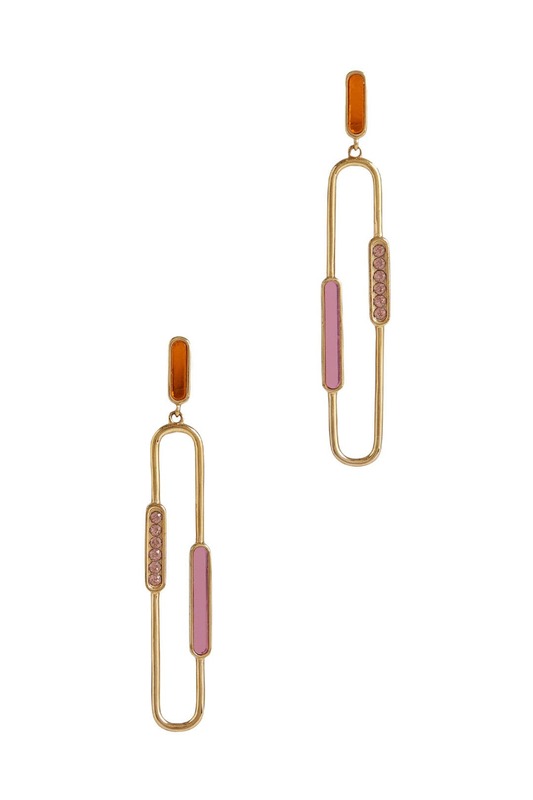 Sculptural and contemporary, top off your look with these Colette Malouf earrings. 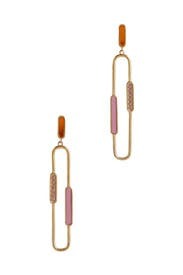 Gold plated drop earrings with pink stone accents. Post backs for pierced ears. 3" long.